Posted on 14th February 2018 at 14:00. 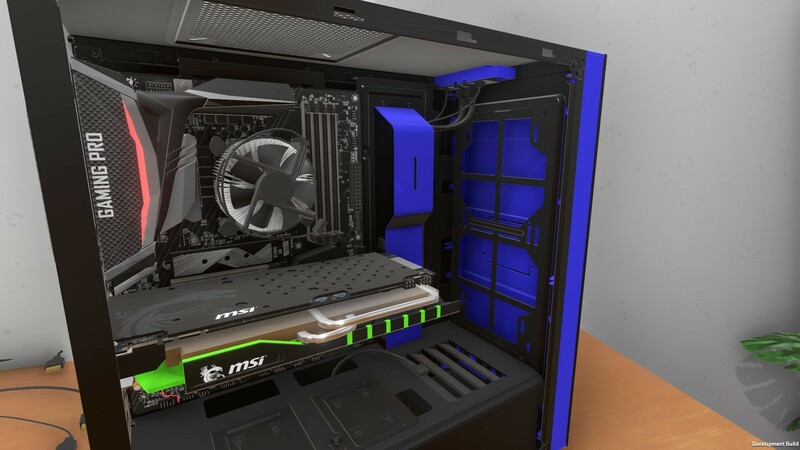 As we’re only just over 5 weeks away from release, we’ve got another hardware manufacturer in addition to Futuremark, Cooler Master, EVGA, NZXT and Raijintek to join the PC Building Simulator project. This is one you’ve been asking about for a while and now it’s finally happened. We’re stoked to announce that the game will now feature MSI branded products! PC Builders will now have the option to construct PCs in-game using MSI’s GeForce GTX 10 and Radeon RX GPUs. The powerful Z370 GAMING PRO CARBON & Z270 GAMING PRO CARBON motherboards will also be in the player’s inventory. These will be fully recreated and function within the simulation when the game launches via early access on March 27th. We’re nearing closer to the early access release and it’s never too late to add PC Building Simulator to your Steam wishlists. For the latest news and updates, follow us on Facebook and Twitter! Power, style and cool your rigs with hardware from SilverStone! Hello guys! Very nice game i can’t wait to play it. One question, what brands will the in-game library have ? Are you going to add more then MSI , EVGA, Raijintek etc. until the Early Acces ? Hey guys! Just heard of this game and I think it’s amazing!!!!! Will you consider to add Asus EK and TT to this game? I thinks it’ll be off the chart if you guys can bring more famous brands to this game!!! I have to say that this game is going to be amazing, How much is it going to cost? Pricing is $19.99 / £14.99 / €19.99. Thanks!